One of the initiatives of the Royal Boskoop Horticultural Society (KVBC) is the Dutch Plant Collections. Many species and/or cultivars of a specific genus or group are brought together into reference collections to compare them and to prevent, that older species and cultivars get lost or become forgotten. These collections are planted on the nurseries of members of the Society. They can be visited and used as a reference point to study and to compare plants. One of these is the Lonicera collection. 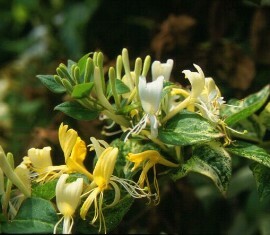 The Lonicera Collection is a part of the Aceretum of Fa C. Esveld and contains more than 100 species, hybrids and cultivars.